This has got to be the yummyist thing I have made yet. I came up with this one on my own. Not sure if there is another out there. Definitely in desserts. Make each packet as directed separately. Half each into two bowls. 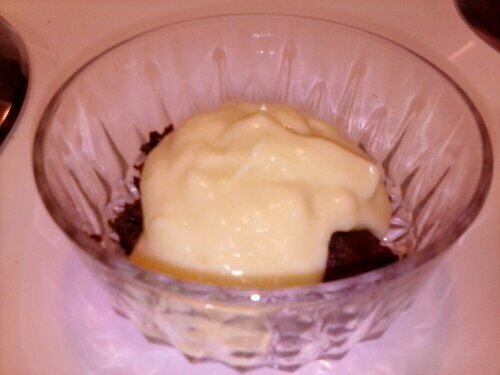 Each bowl should contain 1/2 Brownie and 1/2 Banana Pudding.